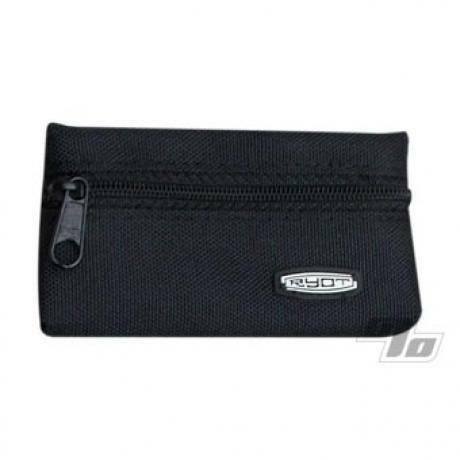 Kryptokit replacement pouch. If you lose the original that comes with your Krypto this will drop right in. Complete with space age freshness material lining the inside and velcro on the back. Fits the RYOT Headcase as well and even works great on it's own. Also perfect for when you want to keep different tobaccos or herbs separate and change them out depending on what you're feeling like that day. I love the new interior inside this replacement pouch! Keeps smell away, I like the new inside, I have original, actually three generations of these first one about ten years ago and is improved even still. The new improved silver lining in the pouch is great. It protects the herbage and it appears that it will have a longer life than the rubberized lining that was in my last pouch.